I recently made portraits with Netta Yerushalmy and dancers. Choreographer Netta Yerushalmy and I collaborated on a creative photo shoot for her upcoming production at Jacob’s Pillow. Netta is bringing her work Paramodernities to the Pillow this summer, and each installment is “a meditation on the different tracks taken by the modern tradition, in dance and beyond.” She deconstructs iconic works from choreographers like Alvin Ailey, George Balanchine and Bob Fosse… giving them larger contextual meaning, critiquing and honoring the classics at the same time. For our recent photo shoot together, Netta and I were commissioned by Norton Owen Director of Preservation at Jacob’s Pillow to make photographs in response to John Lindquist’s images of Alvin Ailey from 1961 at the Pillow specifically for an exhibition in the Doris Duke Lobby. We didn’t want to recreate the images – instead, we wanted to put our own twist on things, to show our modern interpretation of the photos. 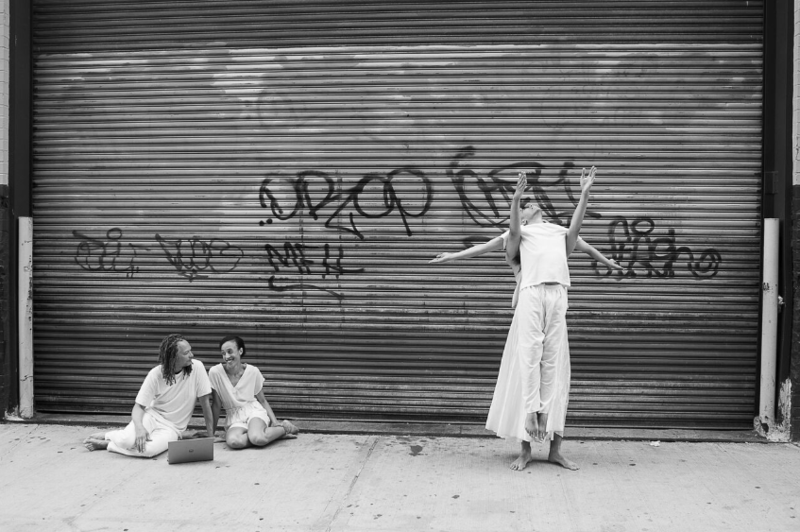 We worked with the dancers in Manhattan, liking the idea of having them in an urban environment. You can see more of my Then & Now portraits on exhibition at Jacob’s Pillow this summer! This idea of taking inspiration from a historic Jacob’s Pillow photo and modernizing it with contemporary dancers is something I love to do at the Pillow each summer. 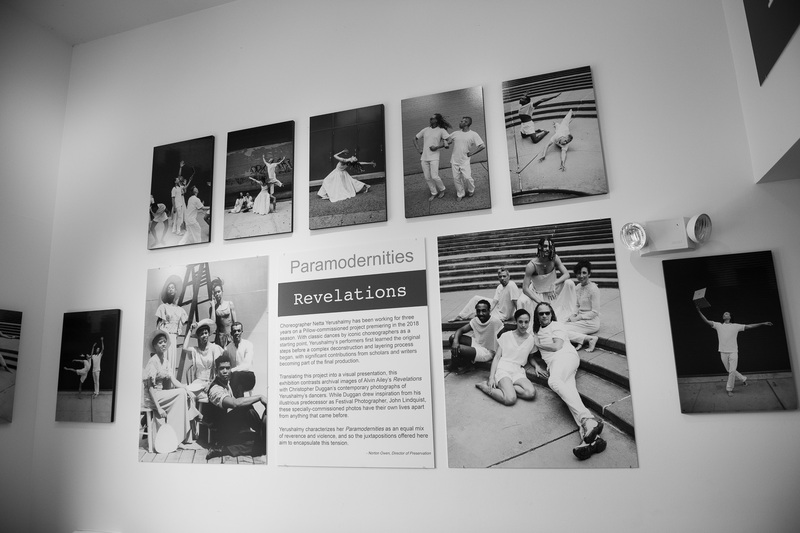 Photos of Netta’s company will be on display with the historic photos we’ve reimagined at the Doris Duke Theatre lobby. It’s exhibitions and projects like these that make me really feel like I’m contributing to the legacy here at the Pillow. 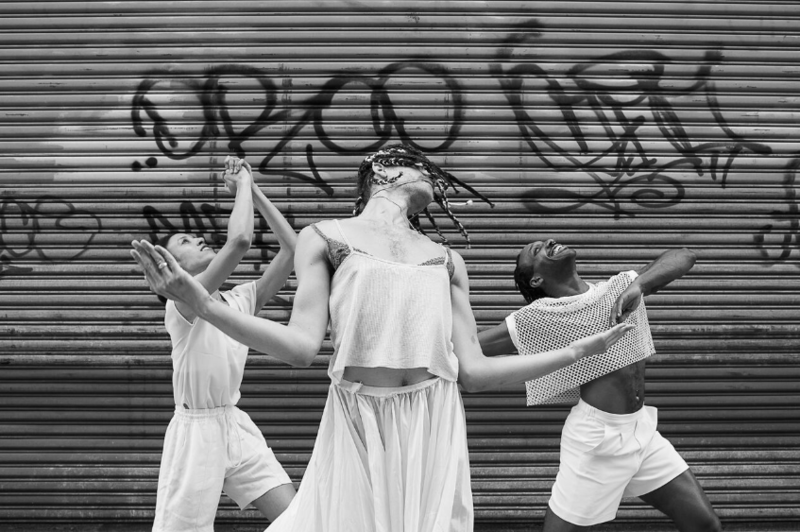 I’m so grateful to Netta and her dancers for this collaboration, the Pillow’s Director of Preservation Norton Owen for choosing my images for display, and former Pillow photo intern Hayim Heron for making this amazing video of us at work!